Let's Go Local: Mystic Movie Night feat. "The Princess Bride"
Cancellation Policy: Notice must be given at least three business days prior to the event. No shows or those unable to cancel in time will be billed. To cancel, please call the Chamber at 860-701-9113. Join us for a night in Mystic as we shop local, and build professional and social relationships. All are welcome! 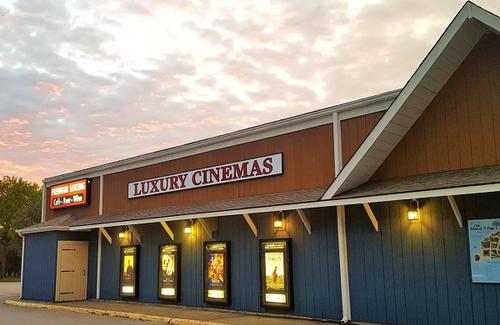 Enjoy a one-night-only coupon for a discount on dinner or drinks at the neighboring restaurants listed below, then take in a movie at Mystic Luxury Cinemas, the only local luxury seating cinema that also sells beer, wine, and hot food. Restrictions apply, check with the restaurant for details. On this page, purchase your movie ticket. A coupon for participating restaurants will be sent via email. At Mystic Luxury Cinema that night, pick up your ticket and snacks at 7:00PM, and mingle with fellow attendees in the cinema cafe. Enjoy the movie at approximately 7:15PM. This program is organized by Community Concierge under the Chamber of Commerce of Eastern CT, an initiative that connects newcomers to the region with longtime locals, exclusive events, and a comprehensive directory of local resources. Learn more at www.CommunityECT.com.